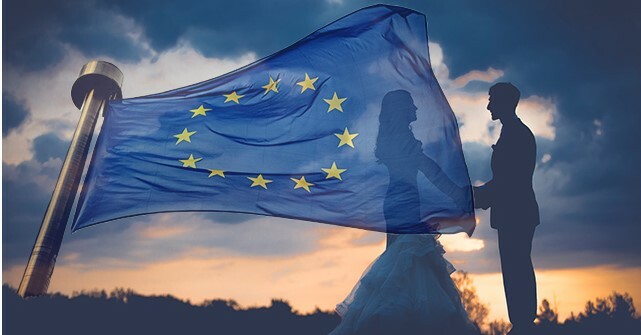 Is Brexit the reason we don’t have a no-fault divorce law? The law as it is leaves a lot to be desired. Divorce, although currently on the decrease, is still prevalent in society, with the Office for National Statistics quoting 101,077 divorces in 2015. However, the current state of divorce law does not make the process easy for both parties, especially when you consider emotions will be running high. In England and Wales to obtain a divorce, under the Matrimonial Causes Act, there is a requirement to prove that the marriage has irretrievably broken down by claiming one of five facts. Three of those facts require either a period of separation of either two years if the divorce is not contested by the partner or five years if the partner does contest. The remaining two options are either to claim that the respondent has committed adultery, or that they behaved so unreasonably that the other cannot be expected to live with them. Therefore, if couples wish to divorce before two years of separation they must place some blame onto the other partner for the breakdown of the marriage. When applying for a divorce under these two claims, the petitioner must provide evidence or examples which are sufficient to show the irretrievable breakdown of the marriage. Pro-no-fault divorce group Resolution carried out research in partnership with YouGov in 2015 and found that 52% of divorce petitions were fault-based, alleging either unreasonable behaviour or adultery. Twenty-seven percent of divorcing couples who asserted blame in their divorce petition admitted the allegation of fault wasn’t true, but was the easiest option. It seems rather alarming that false allegations are being made to the court in order to obtain a divorce prior to the two year separation time period. Case law in this area is equally alarming. Take the recent Court of Appeal case of Owens v Owens. In the first instance the wife had petitioned for a divorce based on the grounds of unreasonable behaviour, which the husband had contested. In her petition the wife had cited some 27 allegations of the husband’s unreasonable behaviour which included his insensitivity and the fact that she felt unloved. However, the judge, Robin Tolson QC, ruled that these allegations were “minor altercations of the kind to be expected in marriage”, and therefore the petition was not granted. This decision was upheld in the Court of Appeal, which leaves the wife stuck in a “loveless marriage” until five years pass and the wife can petition for divorce without her husband in agreeance. This case will now go to the Supreme Court and the decision may be overturned. Nigel Shepherd of Resolution believes that this case “underlines the urgent need for no-fault divorce”. The process of citing the partner’s unreasonable behaviour or details of adultery make no difference to any financial settlements or child arrangement orders decided through the divorce procedure. Resolution is therefore calling for a reform in the law to “allow people to break up with dignity without a two-year wait” which would lead the procedure to be more focused on finances and children and to remove as much animosity as possible. This new procedure would allow one or both spouses to give notice that the marriage has broken down irretrievably and after six months the divorce will be finalised. This no-fault divorce system is already in place in various countries including America, the Netherlands and Scotland. In 2006, Scotland introduced shorter periods of separation for a no-fault divorce from two years to one year for cases of divorce by separation, and from five years to two years for cases where there was no consent to divorce. Although there was a peak from 2006 to 2008 following the introduction of no-fault divorce, in 2012 there was a drop of 14% of divorces over the past four years. This implies that the introduction of no-fault divorce in the UK is unlikely to lead to a higher divorce rate. This call for reform is not new. In fact the Family Law Act 1996 would have provided for a no-fault divorce procedure had the government of the time not deemed the provision unworkable. Also in 2015, the No-Fault Divorce Bill was put forward by Richard Bacon MP. After its first reading in the House of Commons it did not proceed any further. Is there ever going to be a reform for no-fault divorce? Richard Adams, a specialist family lawyer, believes the government has no justification for refusing to reform the law especially as he believes there is clear evidence of the damage that current divorce procedures can cause to the couple and any children they may have. So it does not seem like divorce reform is imminent. Felicity Chapman, an associate at Charles Russell Speechlys, believes, however, that the government’s decision to not commit time to this reform may be because of its current focus on Brexit. This may mean that following the end of this Brexit-fuelled political turmoil, the government may have more time to focus on a divorce law reform. Zoe Bowler graduated from the University of Brighton in 2017 with a first class degree in law and criminology. She is the recipient of three academic prizes and has an avid interest in family law.